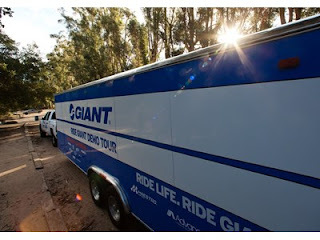 Come and test-ride the latest bicycles from Giant Bicycles and Liv Cycling! 2017 road bikes, mountain bikes, and electric bikes will be available to demo. A photo ID and credit card are required to try out bikes. Bring your helmet and cycling shoes; pedals will be provided. You may try as many bikes as you like, we just ask to keep your ride around 30-45 minutes. Last bike will go out 30 minutes prior to the end of the demo. This event is FREE and no pre-registration is necessary! What makes Danny MacAskill tick?